Motorola Moto G5S Plus Price, Review, Deals, Cost, & Sales! Home / Compare Cell Phones / Motorola Moto G5S Plus Price, Review, Deals, Cost, & Sales! The Motorola Moto G5S Plus is made from a high grade aluminum body, dual camera and a 3000mAh battery. This device is equipped with a 5.5" IPS LCD with 1080 x 1920 resolution and a pixel density of 401 PPI. It also has Corning Gorilla Glass 3 for protection. 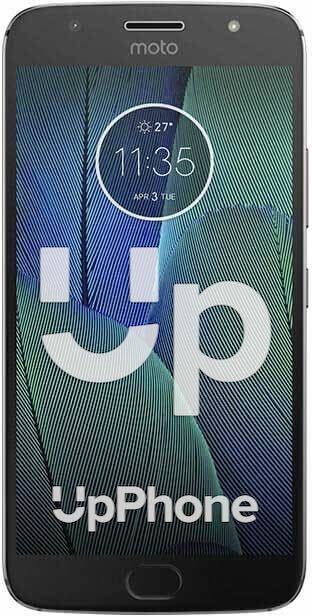 In comparison, the Moto X4 comes with a 5.2" FHD LTPS IPS display with a Corning Gorilla Glass enclosure. The Moto G5S Plus comes with a dual rear camera system. It has a 13 MP f/2.0 aperture main camera and a 13 MP secondary camera with depth sensor. It also has an 8 MP f/2.0 front camera. Rear camera is capable of recording 4K videos and the front can record HD quality videos. For the onboard storage, the Moto G5S Plus has a 32/65GB with support for up to 256GB expansion via microSD. The Moto X4 also has the same drive capacity and support. This device comes with a downward firing speaker located at the base. Sound quality is good and can get pretty loud. The Moto G5S Plus is equipped with a front-mounted fingerprint reader. It scans so fast and is very accurate. This phone runs on Qualcomm MSM8953 Snapdragon 625 with eight cores clocked at 2.0 GHz. Performance is very good despite it being underpowered. It can handle multitasking with minimal lags. While the Moto X4 runs on Qualcomm Snapdragon 630 with 2.2 GHz Octa-core CPU and 650 MHz Adreno 508 GPU. Powering the device is a huge 3000 mAh battery. With this amount of power, it can run on for a day or two with regular use. Conversations can last for 26:47 hours, web browsing for 11 hours and video playback for 10. There is no headset out of the box for this model. It has the distinctive double chop feature to turn on the flashlight. The Moto G5S Plus comes with two camera sensors.